Making a first impression at a job interview is essential to secure the position that you’re applying for, and there’s no other way to get that good impression than sporting the right job interview ensemble. However, choosing the right ensemble isn’t all about sticking to the standard pencil skirt and blouse look. Colour is another consideration that you need to think about when choosing an ensemble. To guide you, we’ve listed down some of the prominent shades, as well as the messages they send to your prospective employers. Blue. It may sound surprising, but blue is actually one of the most recommended shade by hiring professionals as it conveys a message that you’re trustworthy and credible. Navy blue, in particular, is the best colour of suit to wear for a job interview as it exudes confidence. Just be wary of going with navy for creative job interviews though, as you’ll look too conservative, which is something that they don’t need. Black. Other than blue, black has been the long favoured colour for job interviews as it shows leadership. With that said, colour experts recommend to sticking with black especially if you’re planning to land a management position. Just be wary of the risk of overpowering your interviewer though, especially if you’re only applying as an assistant. Grey. If you want to show your potential employer that you’re both analytical and logical, then grey should be your ultimate colour choice. The understated shade actually works great for interviews in almost any field. Want to show a bit of personality? Simply dress up your grey ensemble with colourful accessories like a handbag or a scarf. Red. Wearing red in an interview will definitely convey that you’re assertive and bold. However, some hiring professionals consider the colour to be somewhat domineering and rebellious. So just wear your feisty red ensemble in fields where aggressiveness is considered a positive trait like in the field of law and sales. White.Other than being another safe colour, wearing white ensemble is also a good way to give off an impression that you’re impartial and organized. Although wearing a white blazer for an interview is too much, you can opt for a white button-down paired with your favourite pencil skirt, or a white blazer over a black dress. Any of these ensemble choices will surely give you the wonderful benefits of wearing white. Purple and Yellow. Although experts suggest sticking with neutrals for job interview in most fields, they recommend otherwise when having an interview in a creative field. Don’t hesitate to wear colours like yellow to project your creativity and optimism, or purple to show that you’re artistic and unique. 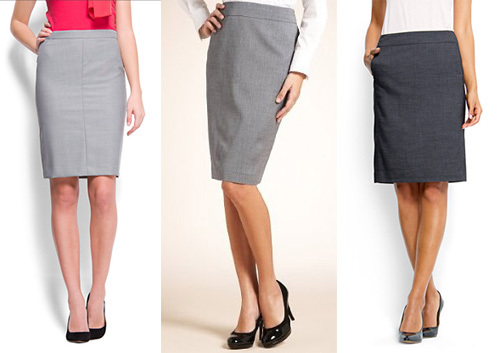 Other than the right clothing pieces, choosing the right colour can also affect the result of your job interview. So the next time you attend an interview, wear the right colour that will show why you deserve to have that job.